This unique and absolutely delicious herbal food is both a powerful anti-aging tonic and a wonderful snack. 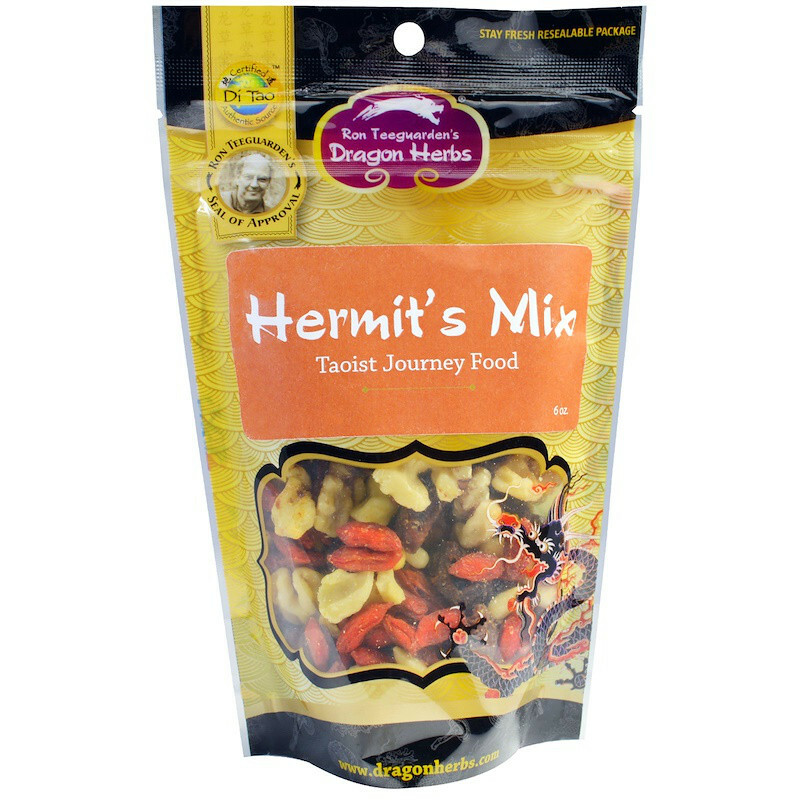 Hermits Mix provides all three treasures, Jing, Qi and Shen. 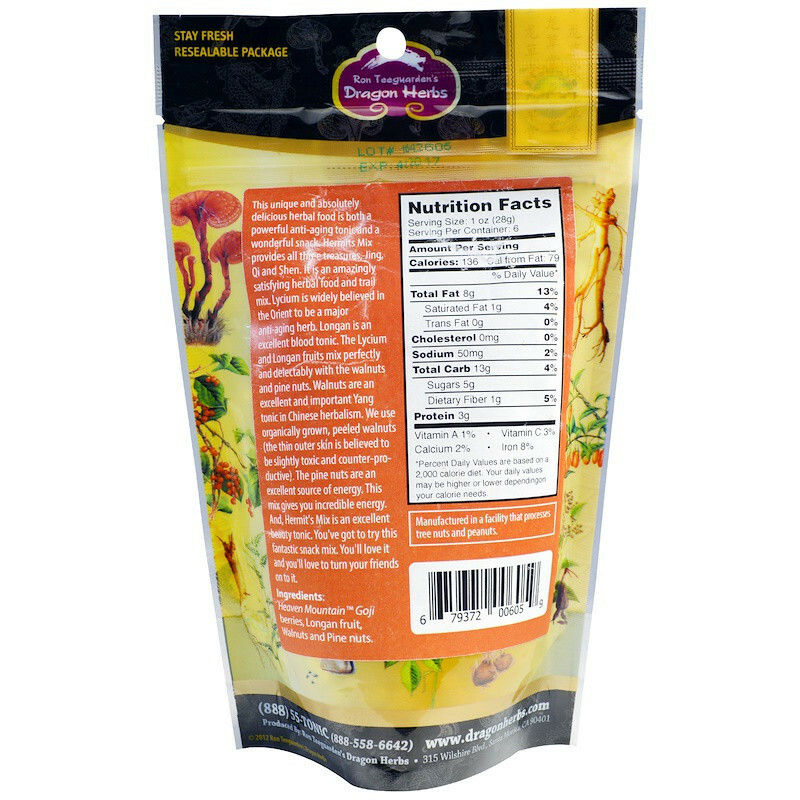 It is an amazingly satisfying herbal food and trail mix. Lycium is widely believed in the Orient to be a major anti-aging herb. Longan is an excellent blood tonic. The Lycium and Longan fruits mix perfectly and delectably with the walnuts and pine nuts. Walnuts are an excellent and important Yang tonic in Chinese herbalism. We use organically grown, peeled walnuts (the thin outer skin is believed to be slightly toxic and counter-productive). The pine nuts are an excellent source of energy. This mix gives you incredible energy. 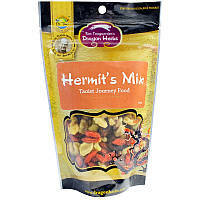 And, Hermit's Mix is an excellent beauty tonic. You've got to try this fantastic snack mix. You'll love it and you'll love to turn your friends on to it. Небесные горы goji ягоды, плоды лонги, грецкие орехи и кедровые орехи. Производится в установке, которая также обрабатывает орехи и арахис.